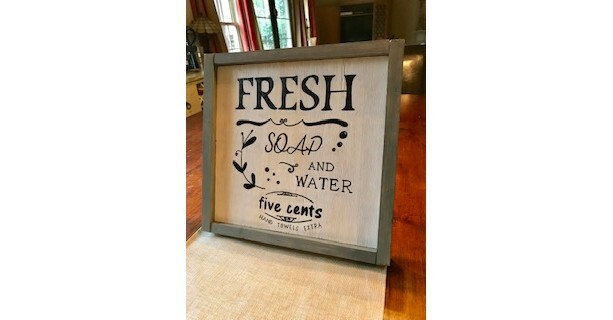 This farmhouse bathroom sign would be an adorable addition to your bathroom! Rustic hand painted sign. Farmhouse style - custom made frame with grey wash. White wash acrylic wood panel background with black lettering and design. Custom orders welcome - various sized, frame colors, background/lettering fonts & colors of your choice.